In this video we will discuss how to pass table name dynamically for stored procedure in sql server. This is one of the sql questions that is very commonly asked. Here is what we want to do. I have a web page with a textbox as shown below. 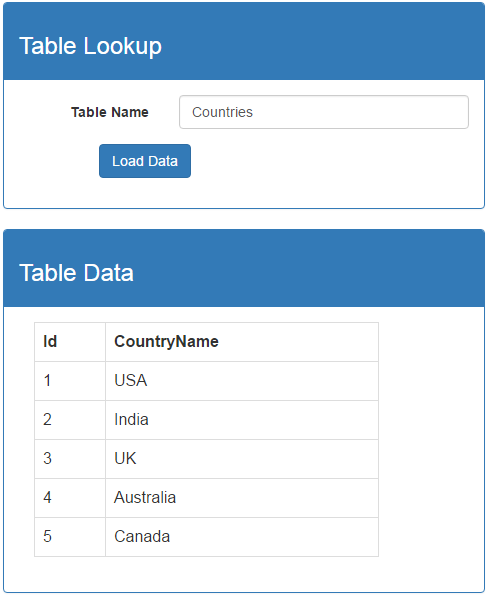 When I enter a table name in the textbox and when I click "Load Data" button, we want to retrieve data from that respective table and display it on the page. For the purpose of this demo, we will use the following 2 tables. Create the following stored procedure. Notice we are passing table name as a parameter to the stored procedure. In the body of the stored procedure we are concatenating strings to build our dynamic sql statement. In our previous videos we discussed that this open doors for SQL injection. So the obvious question that comes to our mind is, why are we not creating parameterised sql statement instead. The answers is we can't. 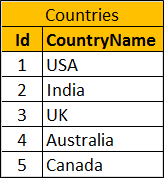 SQL Server does not allow table names and column names to be passed as parameters. Notice in the example below, we are creating a parameterised query with @TabName as a parameter. When we execute the following code, the procedure gets created successfully. But when we try to execute it we get an error - Must declare the table variable "@TabName"
Add a Web Page to the project that we have been working with in our previous video. Name it "DynamicTableName.aspx". Copy and paste the following HTML on the page. Copy and paste the following code in the code-behind page. At this point, run the application and type the following text in the "Table Name" textbox and click "Load Data" button. Notice "SalesDB" database is dropped. Our application is prone to SQL injection as we have implemented dynamic sql in our stored procedure by concatenating strings instead of using parameters. One way to prevent SQL injection in this case is by using SQL Server built-in function - QUOTENAME(). We will discuss QUOTENAME() function in detail in our next video. For now understand that by default, this function wraps that string that is passed to it in a pair of brackets. Modify the stored procedure to use QUOTENAME() function as shown below. At this point, type the following text in the "Table Name" textbox and click "Load Data" button. 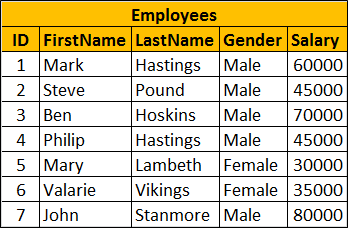 Notice you will see a message - Invalid object name 'Employees; Drop database SalesDB'. Also "SalesDB" database is not dropped. The entire text in "Table Name" textbox is wrapped in a pair of brackets by the QUOTENAME function and is treated as table name. Since we do have a table with the specified name, we get the error - Invalid object name. Dear Venkat sir. one thing as i think your video is already very much easy and clear explanation. so no need of this blog every thing we got from tutorial. you have do lot of extra works for us we are thankful very much for your dedication and determination of help. Must declare the scalar variable "@TableName". i have face this error in sql.